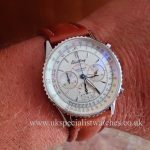 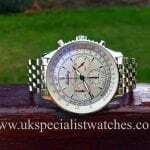 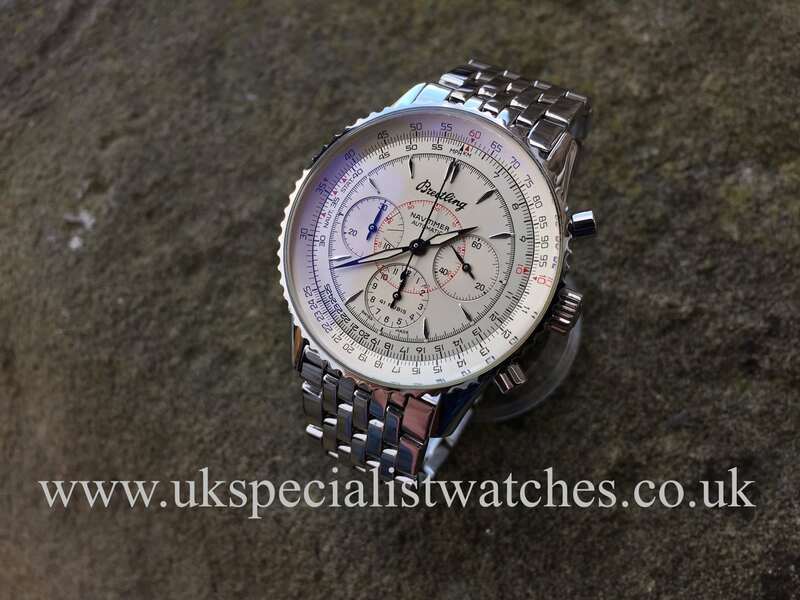 This Breitling Navitimer limited Edition montbrillant (Serie Speciale) A30030.4 is a very rare version of the ever popular Navitimer. 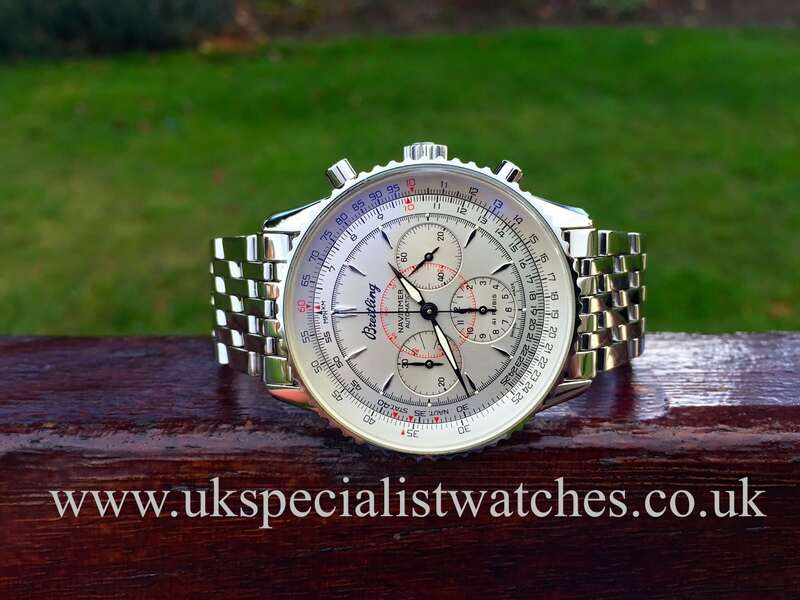 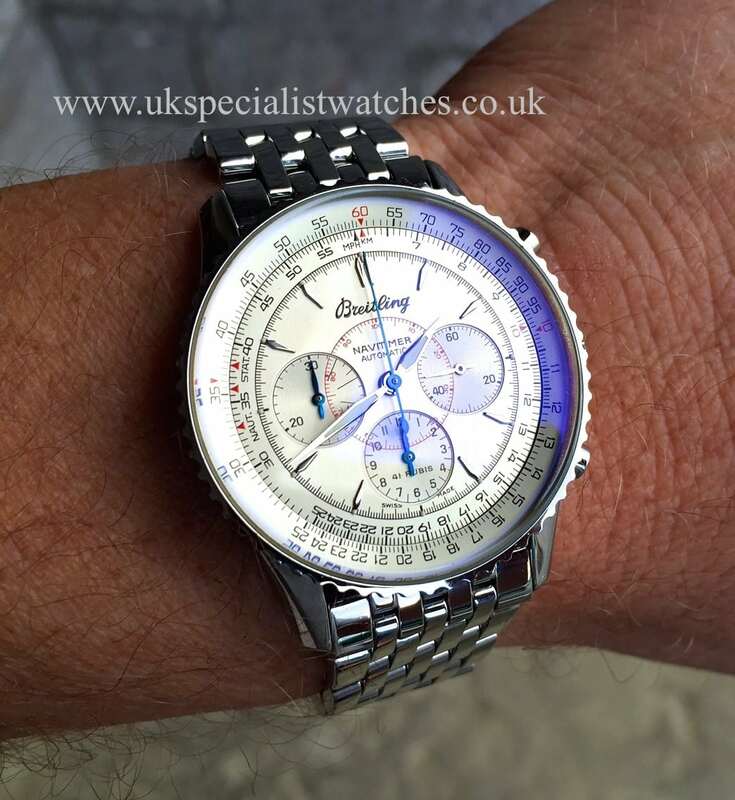 This selfwinding chronograph has the distinctive silver dial and blue second hand, applied hour markers, stainless steel case and glare proof domed scratch resistant sapphire crystal. 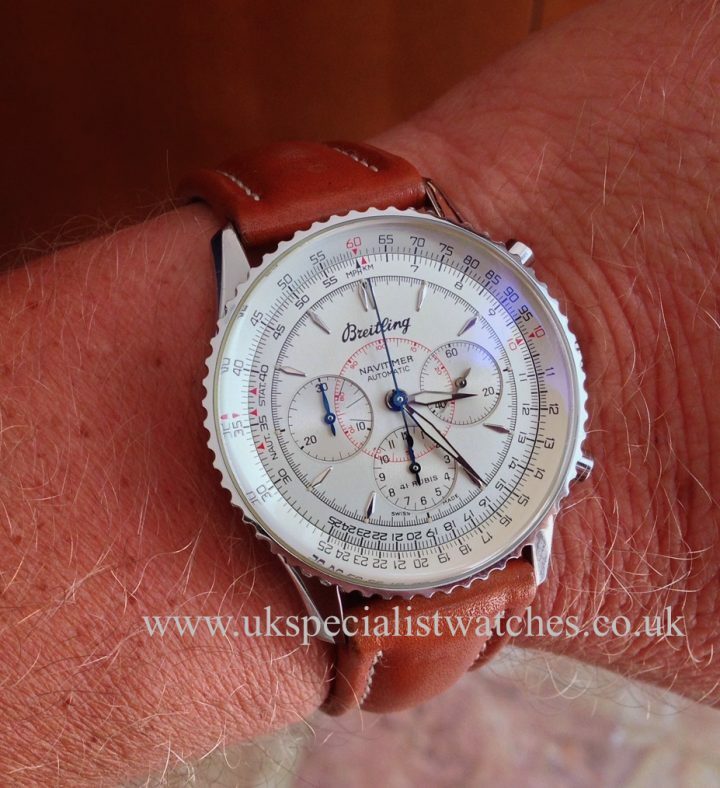 Includes bi-directional slide rule bezel. 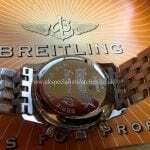 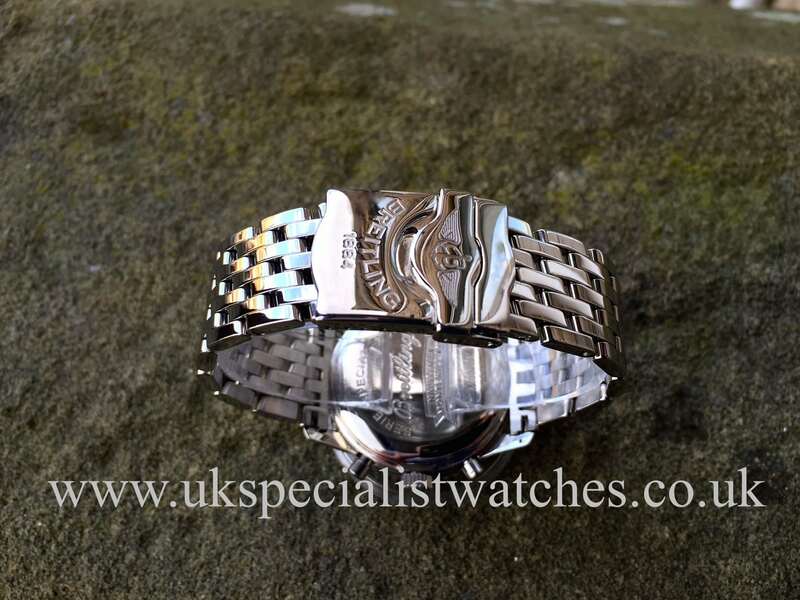 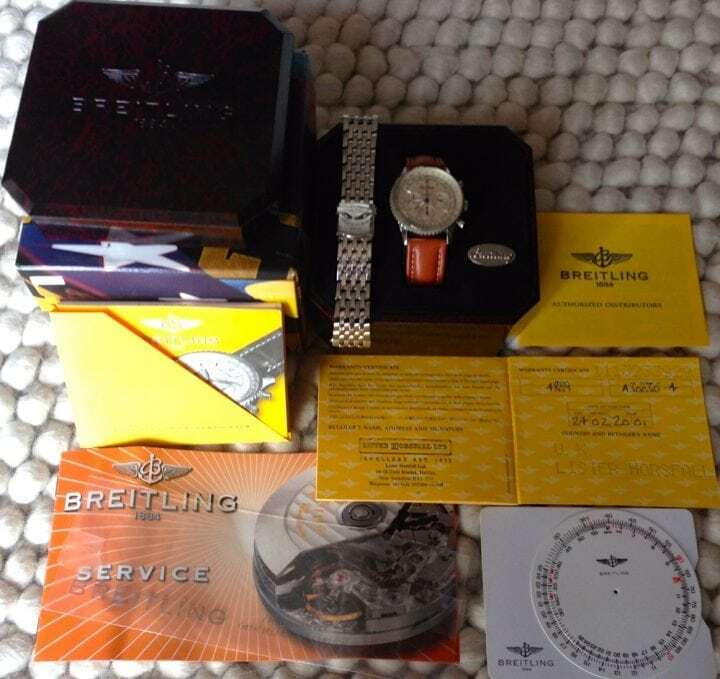 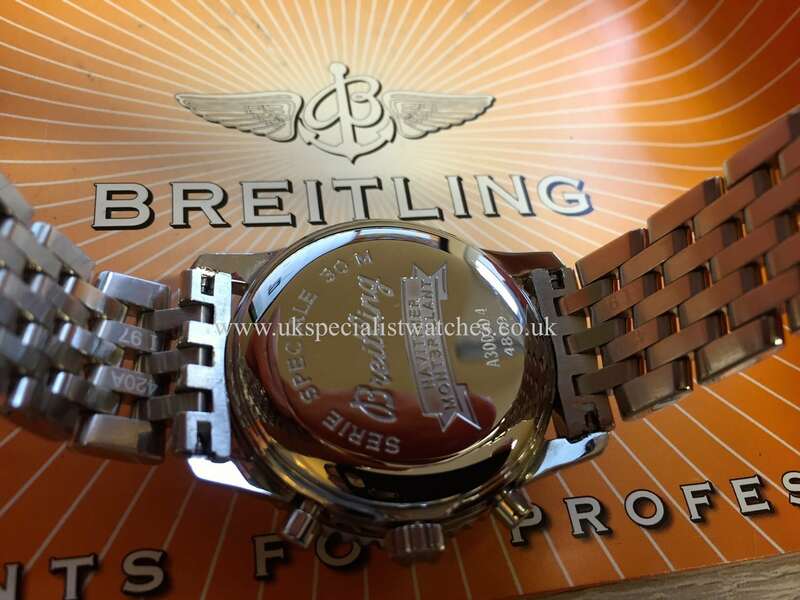 It also has the rarely seen highly polished steel Pilot bracelet which is no longer available from Breitling. 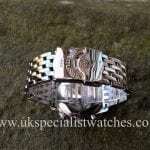 Clearly a cherished, rarely worn piece. Comes complete with all original boxes and papers, tags, everything from new. 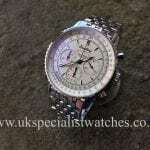 UK supplied in 2001. 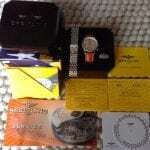 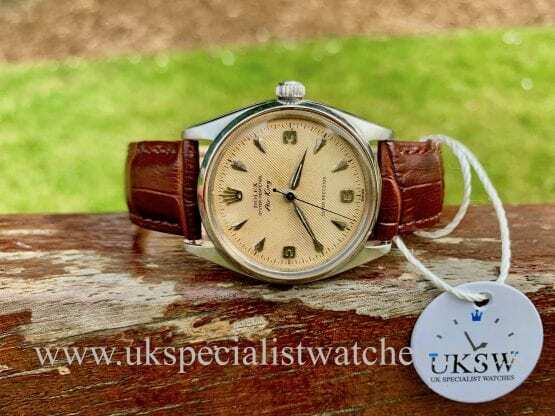 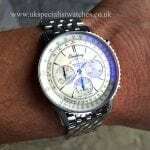 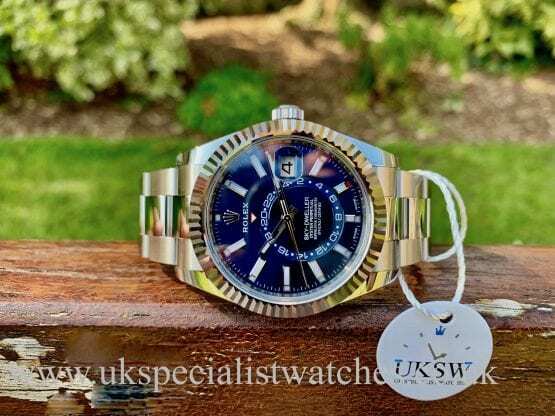 This watch has just had a complete overall (service) and comes with a 2 year warranty.